This has been a very busy school year for us. Going back to full-time teaching left me with very little time to do all the extra things we had become used to and loved doing together. 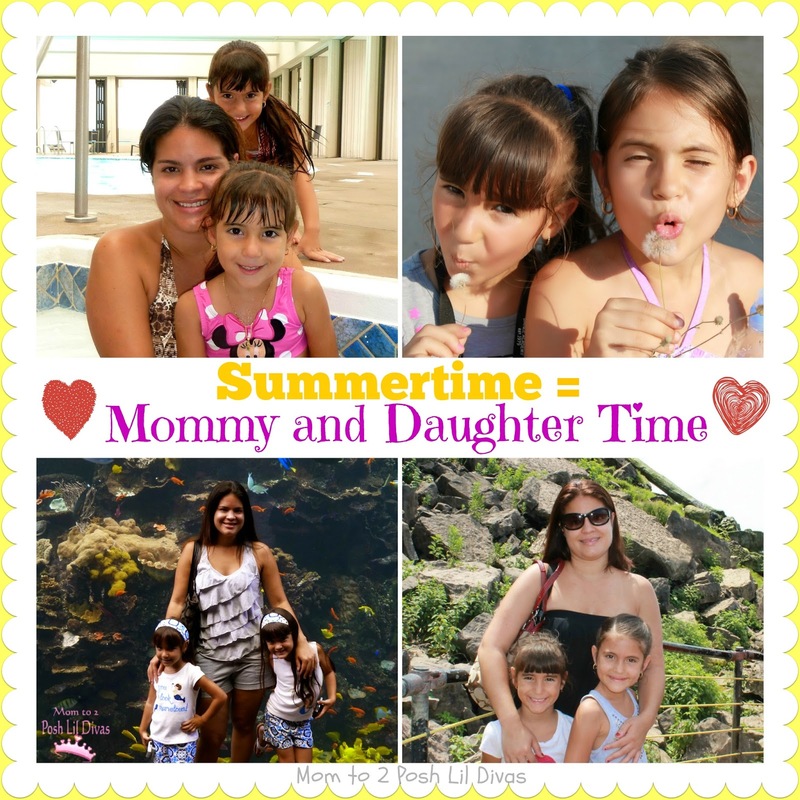 This summer is very important to this working mommy. It means 8 weeks of precious time spent with my Lil Divas. 8 weeks where they don't have to share me with 20+ other littles who need me. So what do we have planned? LOTS! The Lil Divas are attending 2 half-day camps for the first time ever. They are both only a week long but they are super excited about them. One week will be at an Art Camp (I'm so excited to see what they learn and create) and the other week will be spent in a fun Frozen (yes, the movie!) Inspired girls camp - how cool is that?! We also have lots of our own adventures planned. We will be exploring places in South FL (our own backyard), heading to Busch Gardens in Tampa (woot! ), journeying to San Francisco (I am beyond excited about this year's vacation friends!) and naturally we have to fit in some Disney time (how could we not?). Of course being a Teacher Mommy I plan to take advantage of our summer days and fill them with many book/reading adventures, some fun learning and arts and crafts (the Lil Divas' fave). I have lots I hope to share with you this summer. I thank each and every one of you that has stayed with us and hung in there as I transitioned back this year into full-time teaching. I know my sharing on this space was very minimal. I simply had to cut back in order to keep afloat with the many demands in my life. I won't lie to you - it was hard! We had a lot to adjust to over the school year. This mama dealt with lots of angst, fear and feelings of simply not being "good enough". I sorely missed this creative outlet but even more than that I missed the all time with my girls. I thought more than a few times of simply walking away from this blog. Then I'd come here and look at all of our posts, read your comments and lovely emails and my heart would be full and I knew that I couldn't do that. This is another way for me to do what I love. You all kept me going so much more than you could ever know. So thank you for not giving up on us and what we have to offer. Thank you for reaching out - it always seemed to be just when I needed it most. This blog is a little piece of me and it means so much to have it embraced by others. Hugs to the most wonderful readers in the world - YOU! So glad you are sticking it out! I can't wait to see what the summer brings! Thank you Vicky! I am hopeful that things will get easier and will allow me to do both of the things I love rather than choosing one over the other.